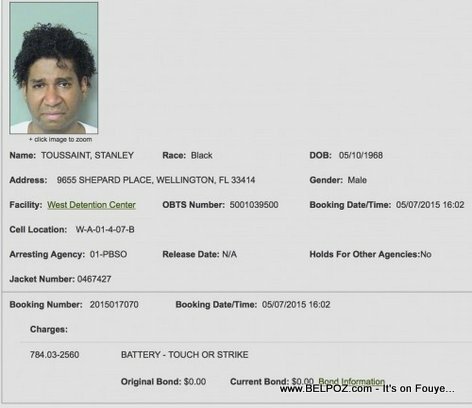 Breaking News - Haitian music artist Stanley Toussaint alias Tantan was arrested Thursday on Battery Charges. 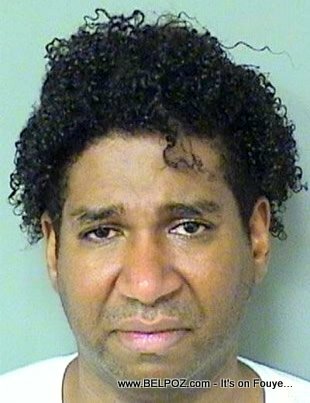 A mugshot of the artist is already circulating on the Haitian social Media Networks. KREYOL: Haiti Diaspora - La police nan Florida arete atis TANTAN (Stanley Toussaint / LAKOL) ayè Jeudi 07 Mai 2015 la pou Battery (li bat yon moun) Fanm li? Kilès? nou poko konnen... Kisa ou panse de sa? Battery is the use of force against another, resulting in harmful, offensive or sexual contact. That's really mess up. He does not hate nor get things that being throw at all the time. She wants to be special but she's not that special. Pagen moun ki pi ho pase lalwa. Prison pa fet pou chien se pou moun li fet.